150+ Recipes with full color photos of each one. Recipes for salmon, moose, and even grizzly bear! Even if you're not the "live off the land" type, there are many recipes you will find useful, including soups, salads, main dishes, and desserts. 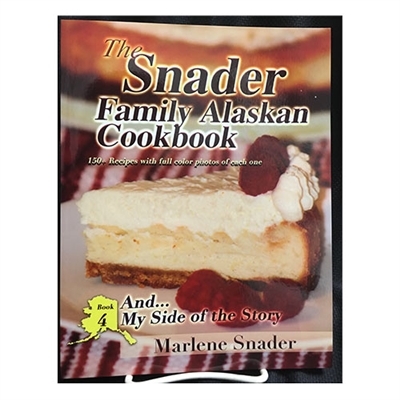 Learn to make lemonade that costs over $12 a gallon in Nome. Marlene gives her side about their family's Alaskan adventures, and gives details about a previously undiscussed mission trip to Mexico in 2011. Also, find out what Marlene thinks of the limo. Read about food, faith, and family!